In this two-day course, organizations that are interested in adopting Agile should evaluate the principles behind Kanban and how they can work together with other Agile approaches. Kanban is a lean manufacturing method developed by Toyota to improve the efficiency of production. 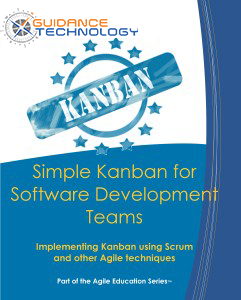 Kanban has become a popular method for ensuring the continual delivery of software and supporting the sustainable pace of the development team. Guidance Technology also provides a certificate of completion of the Course for each participant who successfully completes the course.